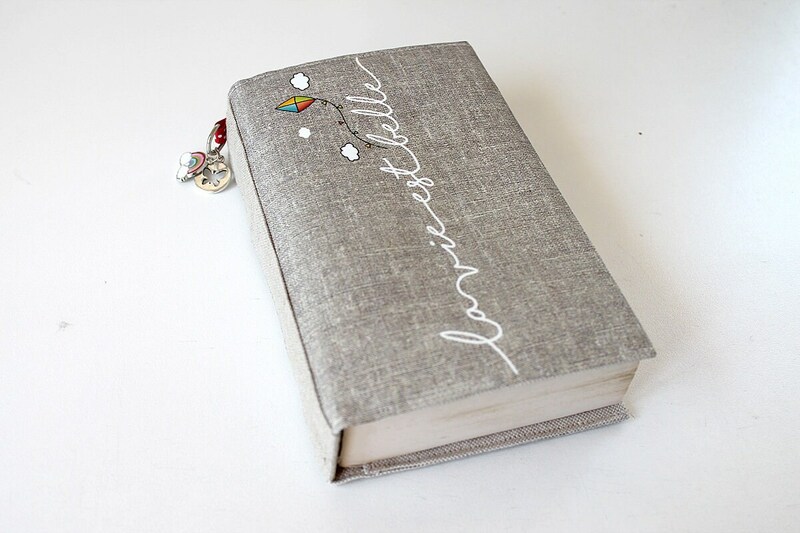 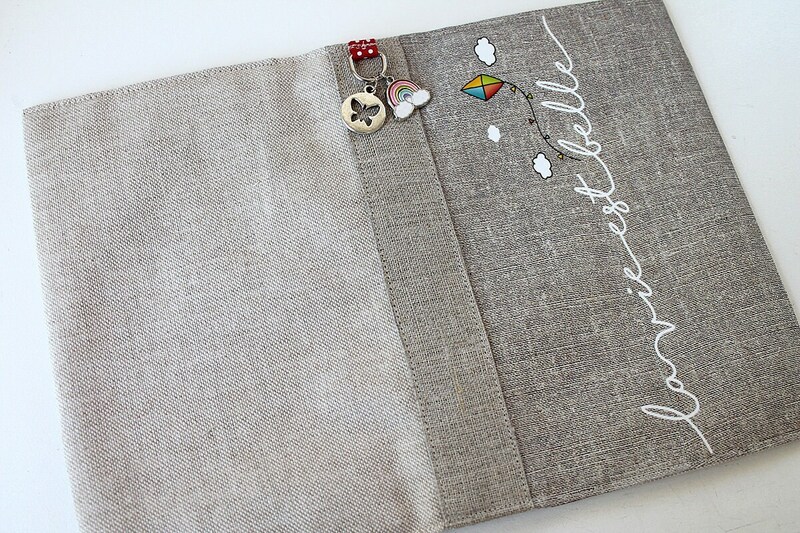 Adjustable pocketbook illustrated linen "life is beautiful"
Adjustable Pocketbook in natural linen with original illustration "life is beautiful" printed on the front (heat transfer printing). 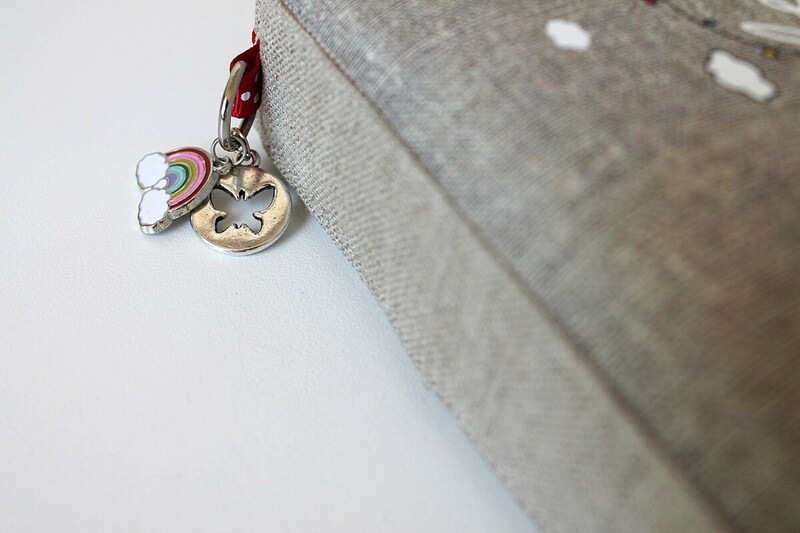 Small (Rainbow) and antique silver Butterfly charms attached to the spine. 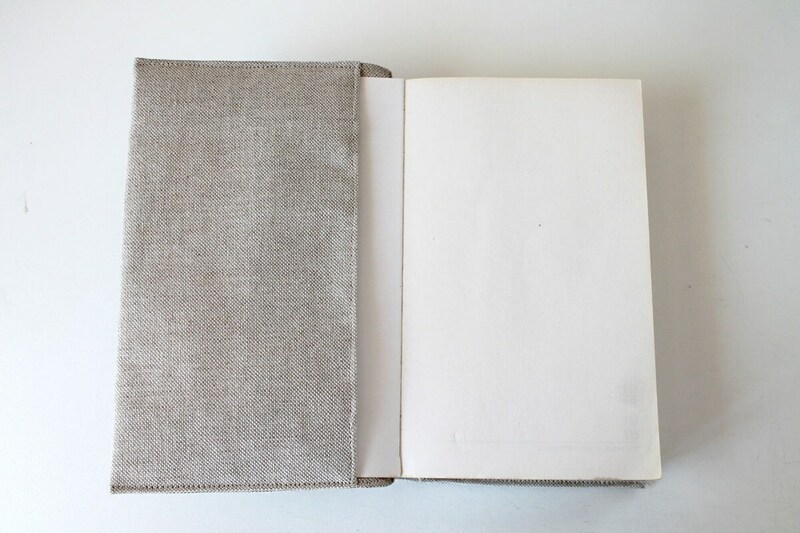 Will fit paperbacks maximum thickness 3 cm. 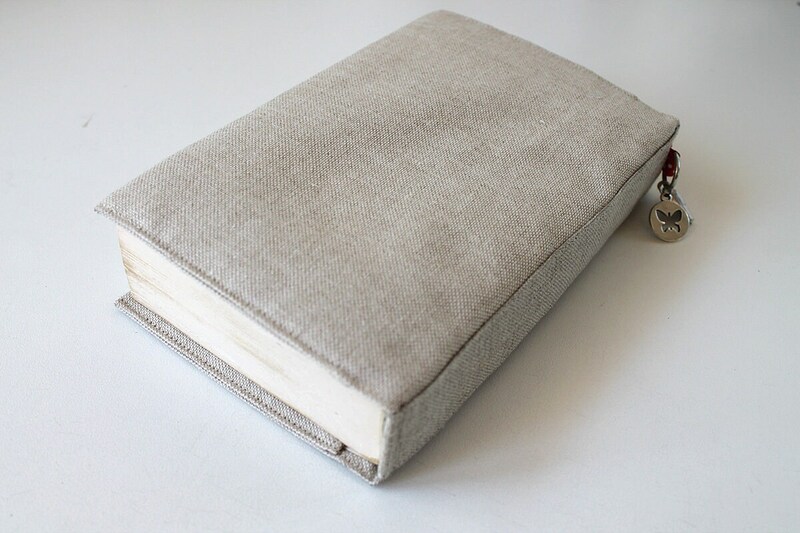 Can be made in other thickness: 1.5 cm for more fine books for example.